According to Kurdistan Human Rights Network (KHRN) Fourteen Kurdish political prisoners in ward 12 of Ûrmiye Central Prison in Rojhelat (eastern Kurdistan) went on a one-day hunger strike on 18 February, the representative of the political prisoners on hunger strike said. The hunger strike was to mark the anniversary of the execution of four Kurdish political prisoners in 2014 and 2015, as well as “condemning” a recent assassination attempt on Sweden-based Kurdish political activist Ghafour Mohammadi, how was a renowned former Kurdish political prisoner when he was back in Iran. 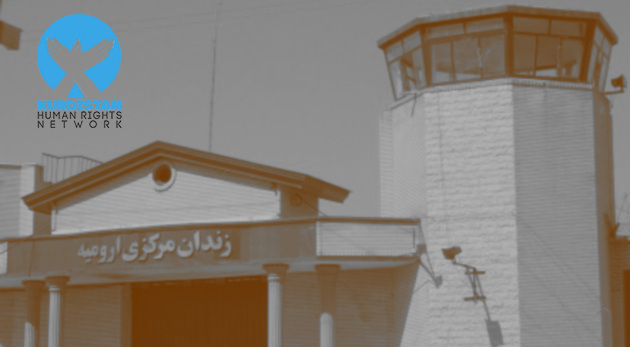 The representative of the prisoners on hunger strike in Ûrmiye Central Prison said that on 18 February 2014 six Kurdish political prisoners Saman Nasim, Ebrahim Issapour, Sirwan Najawi, Ali and Habib Afshari and Younes Aghayan were unexpectedly transferred to prisons in the cities of Zanjan, Qazvin and Tabriz. After several days and without their families being informed, two of the political prisoners of one family, brothers Ali and Habib Afshari, were executed in Qazvin prison in March 2015. Sirwan Najawi was executed in Tabriz prison on 9 August 2014. This political prisoner said that Behrouz Alkhani was executed in the Ûrmiye prison on 26 August 2014. The representative of the political prisoners on hunger strike said, “the hunger strike was symbolically held to mark the execution of our comrades and condemn such execution of Kurdish political prisoners. Meanwhile, we have heard about an assassination attempt on Ghafour Mohammadi, who was a former political prisoner, and we condemn the attack that severely injured him in Stockholm [of Sweden]”. On 20 November 2014, 30 political prisoners went on hunger strike for 33 days in Ûrmiye Central Prison. The hunger strike was to demand political prisoner s’ status and not be mixed with criminals jailed for manslaughter or drug-related crimes. The hunger striking prisoners were Jafar Mirzaee, Reza Rasouli, Sherko Hassan Pour, Abdullah Bislnun, Yousef Kaka Mami, Osman Mostafa Pour, Mostafa Ali Ahmad, Arafat Asghari, Abdullah Amouee, Jafar Afshari, Vali Afshari, Keyhan Darvishi, Mostafa Davoudi, Şoreş Afshari, Khezer Rasoul Morovat, Mohammad Abdullah Bakht, Amir Moladoust, Ahmad Tamooyi, Seyed Sami Hosseini, Seyed Jamal Mohammadi, Behrouz Alkhani, Ali Ahmad Soleiman, Mansour Arvand, Saman Nasim, Sirwan Najawi, Ebharim Issapur, Ali Afshari and Rizgar Afshari. The prisoners were repeatedly taken for questioning at the office of intelligence Agency of the prison and were threatened with execution, new charges and exile to other prisons, as well as of their family members. Last week KHRN published names of 31 Kurdish political prisoners that the authorities at the Ûrmiye Central Prison had purposely transferred to cells of other criminal prisoners sentenced for dangerous crimes.